Are you someone who others describe as caring and giving? Were you always offering to help out an elderly neighbor or babysit the little boy down the street who had some developmental issues? If these are some of the characteristics you possess, a career as a caregiver may be a perfect fit. It is a career that requires one to be diligent, selfless and highly skilled. It can also be highly rewarding for those who choose to do it. If taking care of someone in their own home is a career that speaks to you, then you may be the perfect fit for a caretaker position. It is a career that is becoming more and more in-demand as the Baby Boomers age and would rather stay in their homes than go to a care facility. Family members can't always care for a loved one around the clock. 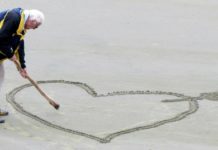 Hiring a professional to take care of an aging loved one isn’t always an easy decision, but it is one that is being made more frequently these days. In fact, the profession is projected to grow tenfold in the next 10 years as the demand increases. If you have some of the essential qualifications and believe your caregiver resume needs some improvement, then take a look at the information below to give you some assistance in creating a great resume. What Is Important About Being a Caregiver? What Are the Qualifications Necessary to Be a Caregiver? 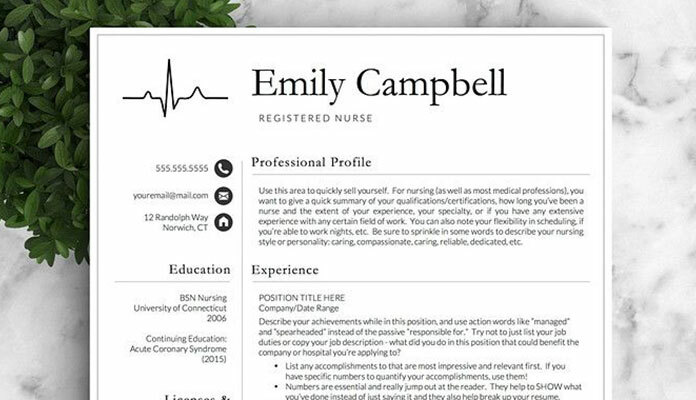 How Can a Caregiver Resume Be Crafted? 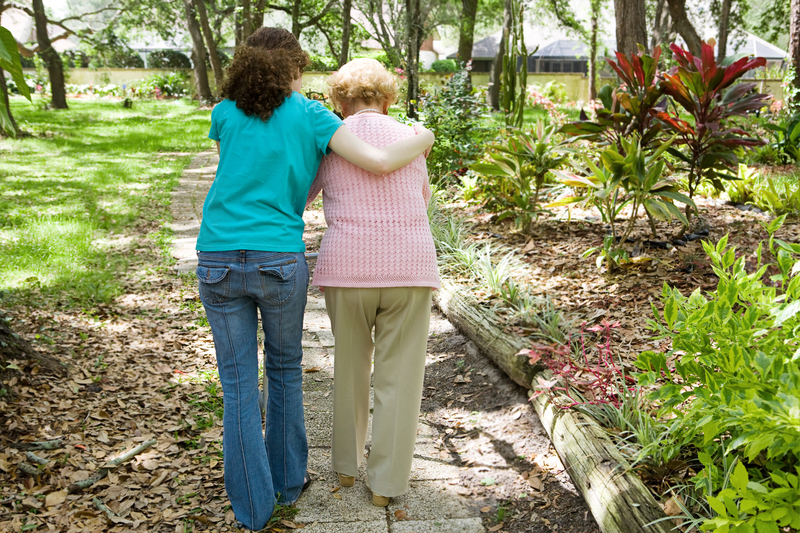 A caregiver is someone who provides personal care for those who cannot do it themselves. Some caregivers specialize in elder care, while others utilize their skills to care for mentally or physically disabled youth. A professional caregiver is often hired to care for seniors in their own homes. There are times when an older person just needs a bit of extra help performing tasks around the house, and there are others where more comprehensive care is required. 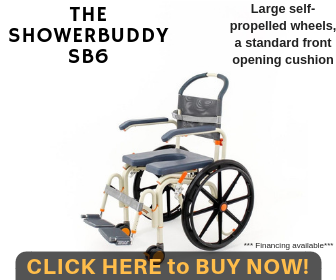 The primary function of a caregiver is someone who comes to a person's home and performs tasks that the homeowner can no longer comfortably or safely perform. These may range from taking out the garbage a couple of times a week, fixing daily meals, going grocery shopping or transporting people to and from appointments. Sometimes caregivers are responsible for every aspect of a person's life, including making doctor's appointments, arranging prescription refills and coordinating household tasks. They may be needed every day of the week or just one. If a senior requires someone every day, there may be a team of two or three caregivers who rotate. There may be more duties required of the caregiver depending on the person they are charged with caring for. As a caregiver, you must be able to perform physical labor and tasks as needed. You must also be open to doing whatever is required to ensure the safety and well-being of your client. At the same time, you must also be able to identify your limits. If a situation arises that you are unable to handle, you need to be prepared to call the help necessary to keep your client safe. Being a caregiver requires patience, understanding, compassion and persistence. 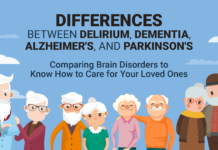 Caring for a senior who has begun to mentally fail, meaning there has been a medical diagnosis of the onset of dementia or one who may be in the full throws of Alzheimer's, will require specialized skills. It is essential that you can handle the demands of a person in this stage of illness. When it comes to crafting your resume, be sure to point out any kind of specialized training you received in memory care. If you have experience caring for someone with memory issues, it is a considerable asset to include on your resume. Someone who goes into the field of providing care for others should possess some necessary qualifications. Typically, one must have some education in health science, nursing or behavioral science education. Any of these majors will qualify you to take care of one of the specialty groups caregivers are needed for. Demonstrating your ability to care for others who need specialized care is a bonus on your resume. If you have done any work in this capacity, including any volunteer positions you've held, it will be essential to include those on your resume. These jobs, no matter how small you may think they were, will all go towards painting the best picture of your abilities and willingness to perform any duties asked. It is crucial that you be able to pass a background check. Typically, a criminal background check is run of all applicants either working for a service or even those working directly for a client. People are less comfortable having someone who has committed certain offenses working in their home. Some transgressions may be overlooked, but others won't be. If you're unsure, talk to the human resources department for the agency you are applying to. Always disclose your background, good or bad. Be honest. An agency will find out if you are lying. Financial issues may also need to be disclosed on your application. Bankruptcy, foreclosure or repossession of a vehicle may all be required to be included on the form. A financial background check, which includes a credit check, will reveal these issues. Again, be honest on your application or in an interview when asked about these things. It is best to be able to explain yourself before getting a job rather than having to explain why you omitted something later. You are no doubt familiar with creating a resume. Perhaps you have a basic resume already prepared, and you need to fill it in to add some new skills or experiences. Whatever the reason, crafting a resume that will get you in the door at a new caregiver position is essential. Below are some examples of portions you should be sure to include in your resume. In this section, you will list all of the work experience you have. You will start with the most recent position first and continue backward in time from there. Typically, this section should include three jobs. If two of your three jobs are not in the field you are seeking to get into, and you have volunteer experience that is relevant, list that here. 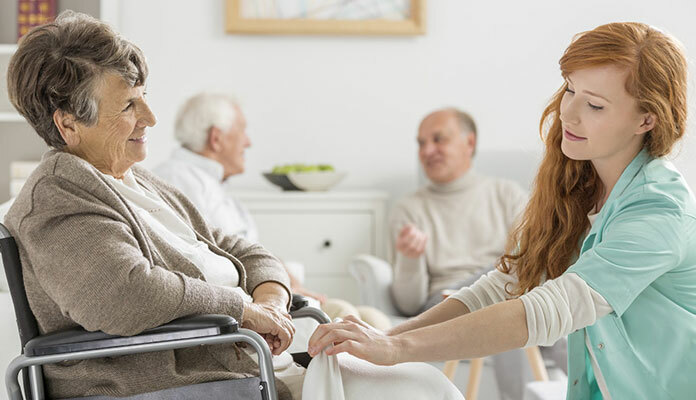 Assisted residents in all facets of self-care including, but not limited to, good hygiene practices, diet and nutrition, mobility and any other needs. Extensive experience in memory care. Volunteered in many facets of elder care including hygiene, diet, memory care, financial assistance, mobility assistance and medical care. This section is the portion of the resume that will list all the formal training and education you've received. You will start out with your high school information all the way up and through any continuing education. If you've taken any special post-education classes, those should be listed as well. You will start with the most recent training and continue backward in time, just as you did in the work experience section. 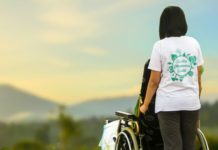 You now have a description of what the role of a caregiver is and how important it can be in the lives of so many, you can craft your resume accordingly. You now also have the essentials of what a caregiver resume should contain. If you have the desire and qualifications to care for those who are aging and in need of assistance at home, this career may be the perfect fit for you. Compassion, empathy, strength and a genuine desire to help and improve the lives of others are the fundamental requirements to do this type of job. These are things that can't be conveyed entirely on a piece of paper. However, you can give a prospective employer the best snapshot of why you are the best candidate for the job.